​On Saturday 21st July over 50 people making up eight teams descended on the Masonic Centre, Deal to pit their wits against each other in the Granville Mark and R.A.M. 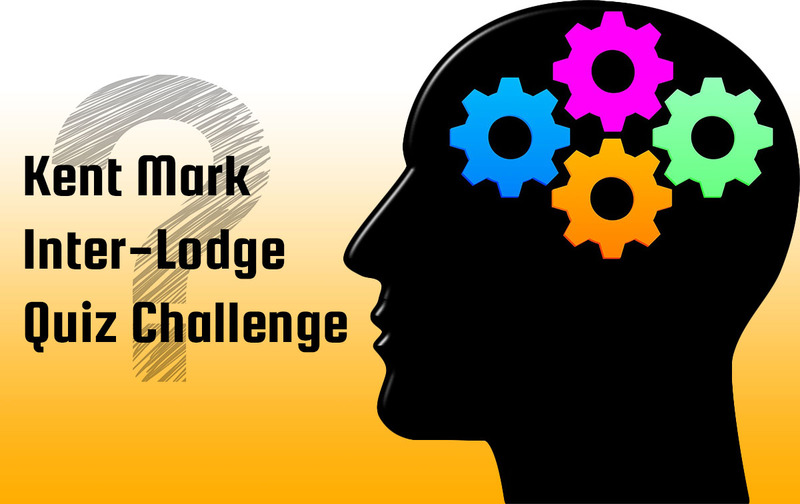 Challenge Quiz organised by Lodge Secretary and Charity Steward, W. Bro. Peter Smith. There were teams representing Granville Mark Lodge, Granville R.A.M. Lodge, Sandwich Haven Mark Lodge, St Peter in Thanet Mark Lodge, St John's Thanet Craft Lodge, Military Jubilee Craft Lodge, Downs Craft Lodge and Globe and Laurel Craft Lodge. Everyone enjoyed the evening which was accompanied by a fish and chip supper with the questions set by the quiz masters Bro. David and Tracy Hawkes. The Challenge Trophy was lifted by the Downs Lodge team following a close fought battle with the Sandwich Haven team and was only resolved after a tie break round. W. Bro. Peter extended his "heartfelt thanks to all those who came along and supported us, and to all those who donated prizes for the raffles." In addition to the raffles a game of Heads and Tails helped swell the amount raised on the night to almost £600 which the Lodges will put towards their 2020 Festival target.